India’s cardamom output could fall from around 11,000 tonnes in 2006-07 to 8,500 tonnes in 2007-08 on account of bad weather, leading to an increase in the price of the spice. That could lead to a fall in exports of the spice. The late arrival of the monsoon and heavy rains over the past few weeks is expected to bring down cardamom production by 25-30%, said V.J. Kurian, chairman of the Spices Board, the government’s trade promotion body, at the annual conference of the United Planters Association of South India (Upasi). While graded cardamom fetches Rs510 a kg compared with Rs432 last year, ungraded cardamom fetches Rs401 compared with Rs313 last year. The higher prices might also see exports dip this year. 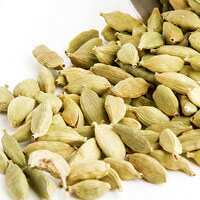 In the four months to July, India exported 145 tonnes of cardamom worth Rs5.44 crore. In fiscal 2006-07, it exported 650 tonnes worth Rs22.32 crore, Kurian said. While the board recently launched an electronic auction at the Bodinaykkannur centre in Tamil Nadu and proposes to extend the electronic bidding facility to other auction centres in Kumily and Vandanmedu in Kerala, which are close by, it is now also considering setting up a separate centre in Kumily. Under the earlier proposal, the board would have provided equipment such as servers to each auction centre, and the centres would have had to make necessary arrangements to switch over to electronic auctions. Since this would have involved considerable delays in kick-starting electronic auctions, the board is now considering a single auction centre at Kumily in Idukki district as a hub for electronic auctions. The proximity of Kumily to the other auction centres in the vicinity will not only prove economical, but will also help in creating a centre that can bring the trade and growers to a single point, according to the board.